If you prefer keeping up with the latest trends, this pair of capris from the house of Sweet Dreams will become your instant favourite. It has been made of premium quality fabric, which makes it comfortable to wear. Furthermore, it comes with an elastic waistband that makes it convenient to wear. 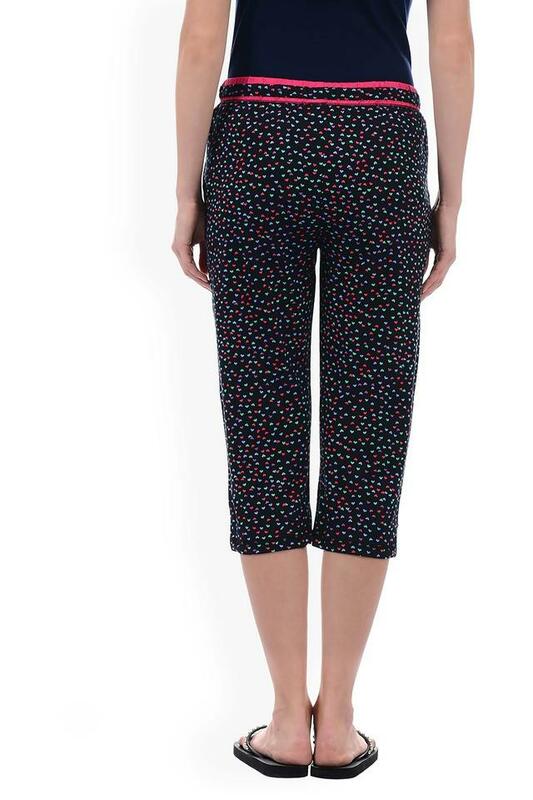 Featuring a print pattern, this pair of capris also features a fine colour combination that enhances its appeal. It will be an ideal choice for you to wear while you relax at home.